Multiple 12-volt batteries are linked in several types of uses. Boats, trailers and cars may have two or more 12-volt lead-acid batteries, and solar power systems use banks of 12-volt batteries. Charging multiple batteries is more challenging than charging a single battery because the method of charging depends on how the batteries are linked together. With a basic understanding of electricity, and some simple equipment, you can safely charge multiple battery combinations at home. Calculate the voltage of the batteries in the line. Batteries linked in series have the negative of one battery connected to the positive of the next battery, all the way along the line. In this way they combine their voltages while keeping their current output the same as a single battery's. Charge longer lines of batteries using either one 12-volt battery charger attached to each battery as if it were a single battery, or a specialist charger, rated for the total voltage of the line, attached across the unused negative terminal of the first battery and the unused positive terminal of the last battery. You can buy battery chargers rated at up to 60 volts from boat and solar power supply stores. A 60-volt charger will charge a line of five 12-volt batteries. Check the connections between the batteries. Batteries linked in parallel have all the negative terminals joined together on one lead, and all the positive terminals linked together on a separate wire. The voltage remains the same regardless of many batteries are linked. The current, however, is cumulative. Connect one battery charger across the positive terminal on the first battery and the negative on the last battery. You can connect across terminals on only one battery if necessary, but by connecting across both batteries a more even charge should be delivered. Set the charge time for longer than it takes to charge a single battery. The time it takes to charge a line of parallel batteries is proportional to the number of batteries. If one battery takes three hours, two will take six hours and three will take nine hours. Keep battery terminals clean and firmly connected to the leads. Good contacts reduce resistance, heat and power loss. 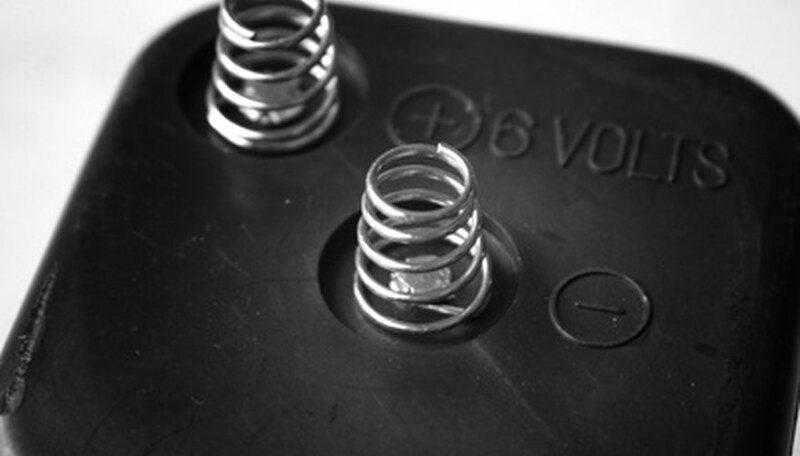 Check the level of electrolyte in the battery cells before charging them. Low electrolyte levels will prevent the cells charging properly. Charge all the batteries in a series line at the same time. Never charge them individually unless they have been completely disconnected from the line. Long lines of batteries in series can produce high voltages capable of causing injury or death. Use extreme caution when dealing with high voltages. Charging batteries in parallel is not recommended as some batteries may charge faster than others. Robinson, David. "How to Charge Multiple 12V Batteries in Line." 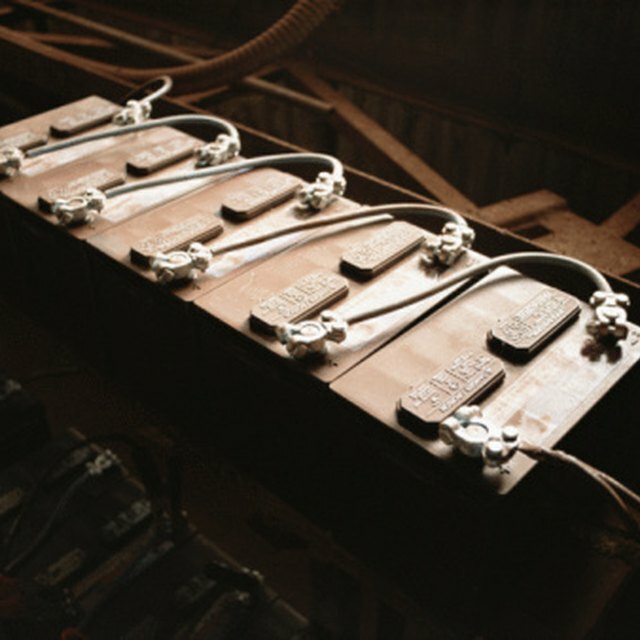 Sciencing, https://sciencing.com/charge-multiple-12v-batteries-line-7649425.html. 25 April 2017.